His sources are innumerable and unexpected. Borges has read every thing, and especially what nobody reads any more: the Cabalists, the Alexandrine Greeks, medieval philosophers. His erudition is not profound—he asks of it only flashes of lightning and ideas—but it is vast. I remember him (I have no right to utter this sacred verb, only one man on earth had that right and he is dead) with a dark passion flower in his hand, seeing it as no one has ever seen it, though he might look at it from the twilight of dawn till that of evening, a whole lifetime. I remember him, with his face taciturn and Indian-like and singularly remote, behind the cigarette. I remember (I think) his angular, leather-braiding hands. I remember near those hands a mate gourd bearing the Uruguayan coat of arms; I remember a yellow screen with a vague lake landscape in the window of his house. I clearly remember his voice: the slow, resentful, nasal voice of the old-time dweller of the suburbs, without the Italian sibilants we have today. I never saw him more than three times; the last was in 1887 … I find it very satisfactory that all those who knew him should write about him; my testimony will perhaps be the shortest and no doubt the poorest, but not the most impartial in the volume you will edit. My deplorable status as an Argentine will prevent me from indulging in a dithyramb, an obligatory genre in Uruguay whenever the subject is an Uruguayan. Highbrow, city slicker, dude: Funes never spoke these injurious words, but I am sufficiently certain I represented for him those misfortunes. Pedro Leandro Ipuche has written that Funes was a precursor of the supermen, “a vernacular and rustic Zarathustra”; I shall not debate the point, but one should not forget that he was also a kid from Fray Bentos, with certain incurable limitations. 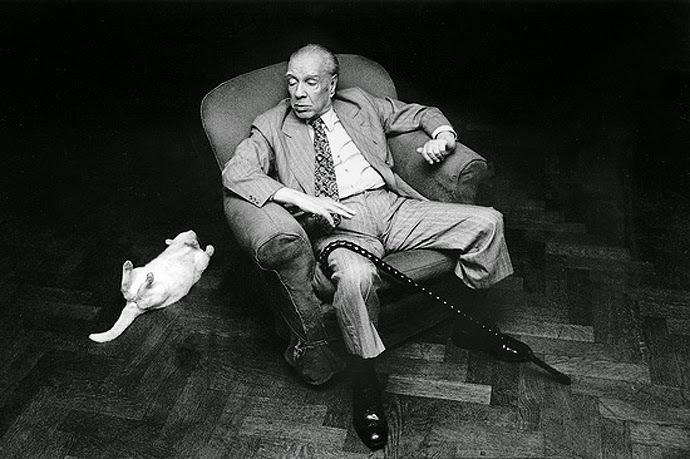 Read Borges’s story here, and Maurois’s Borges primer here; and subscribe now for digital access to every short story, poem, portfolio, and essay from The Paris Review.